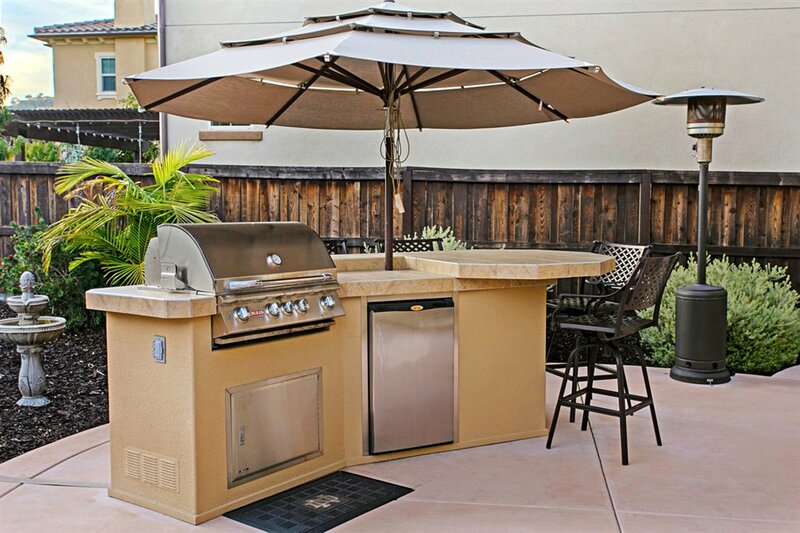 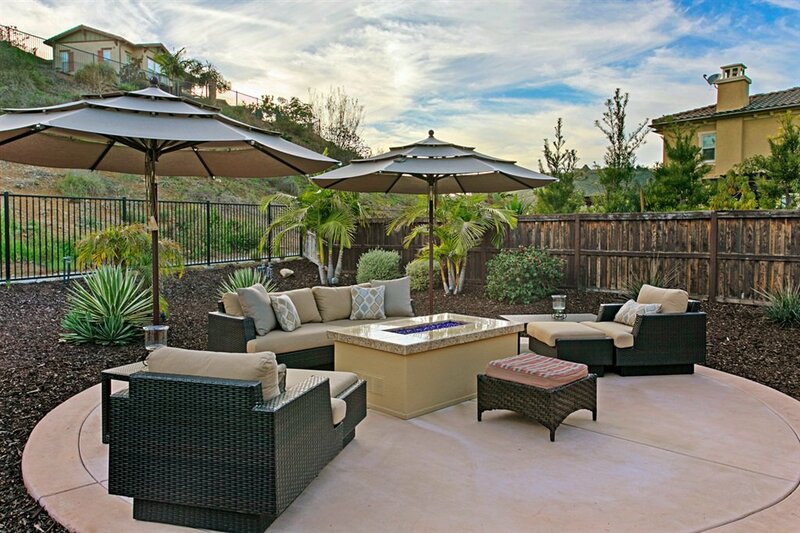 Custom designed yard displays multiple patios, built-in BBQ island, gas fire-pit and easy-care landscape perfect for California-living. 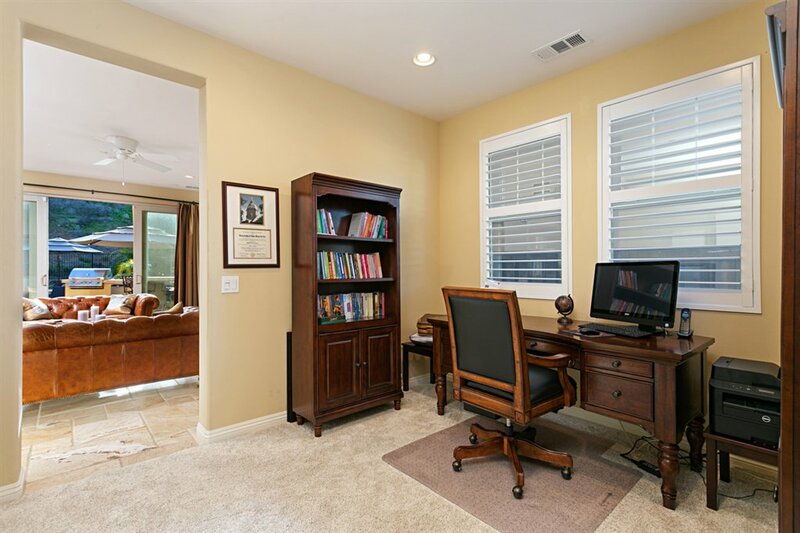 Bedroom, full bath, formal dining room and office complete the lower level. 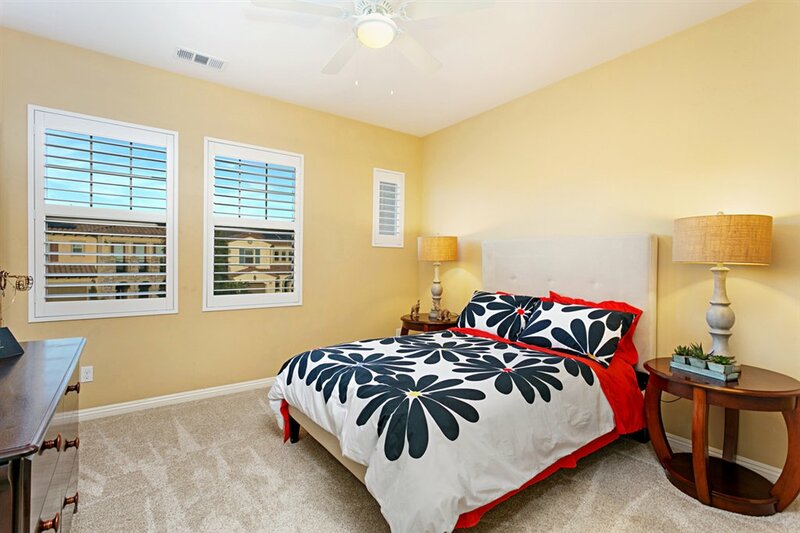 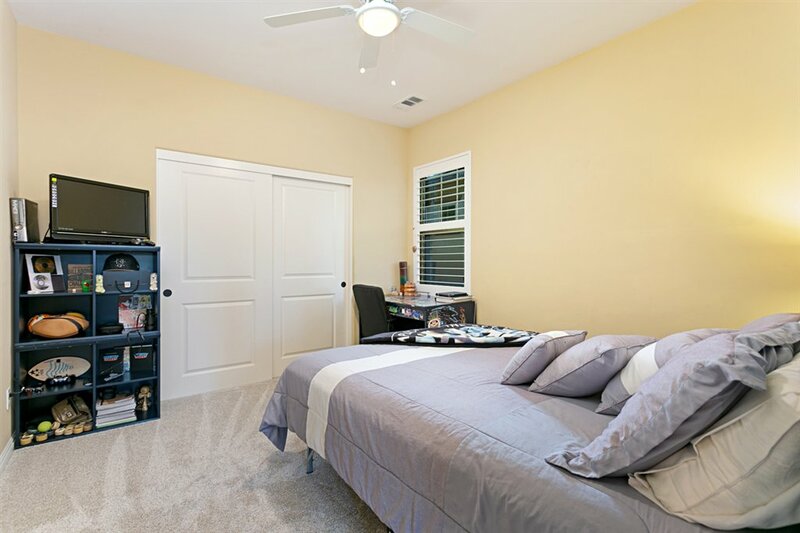 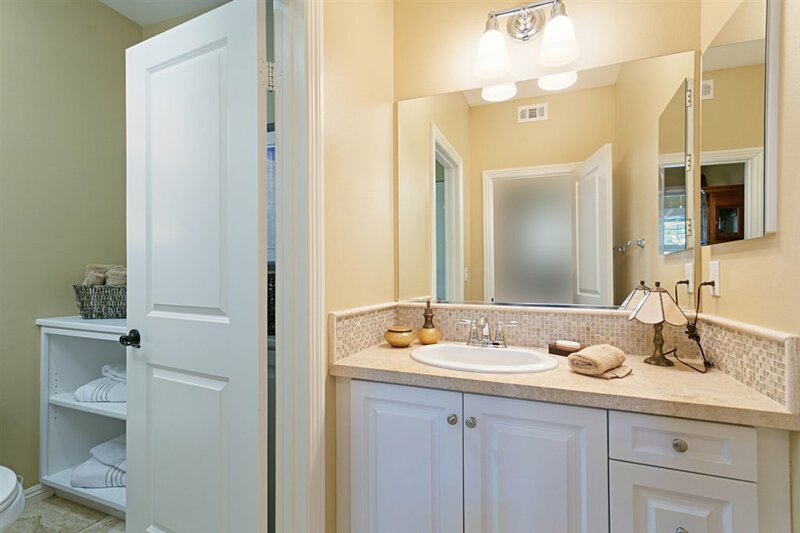 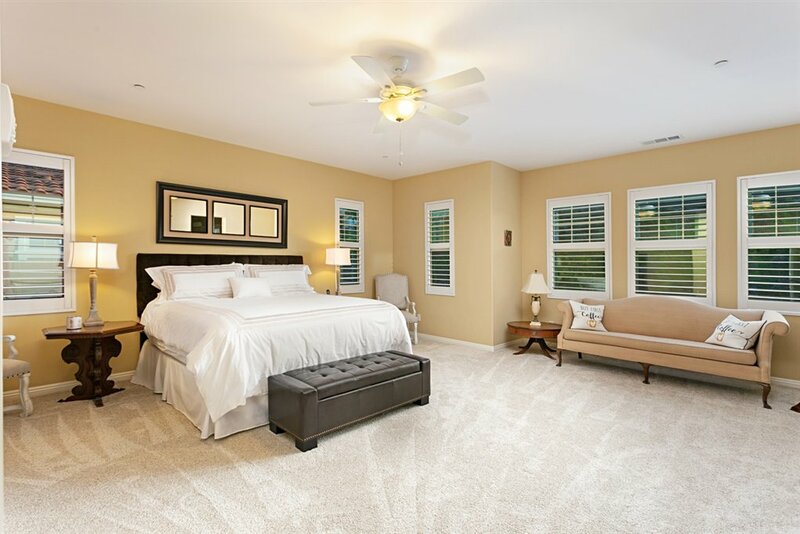 Upstairs- Exquisite master suite, master bathroom with gorgeous vanity, soaking tub, large shower and his & her walk-in closets. 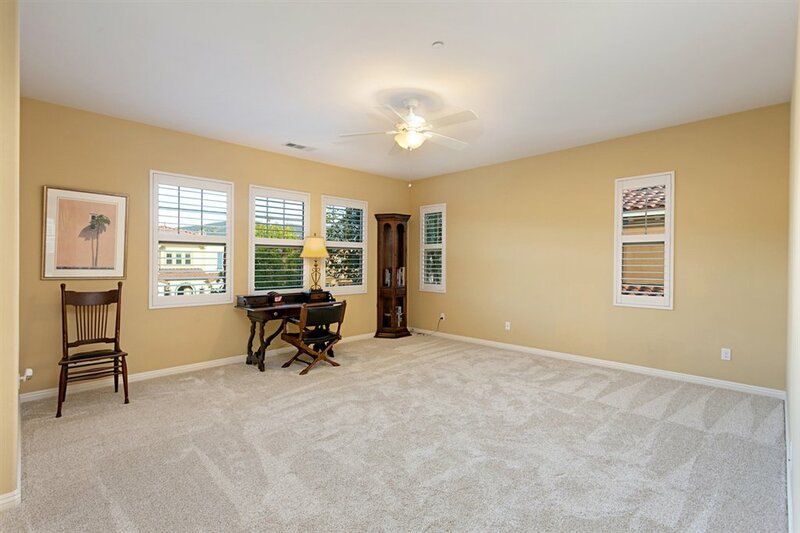 Huge bonus room with hill views could be a 5th bedroom, 2 additional bedrooms, hall bath and laundry room with large storage area complete the upper floor. 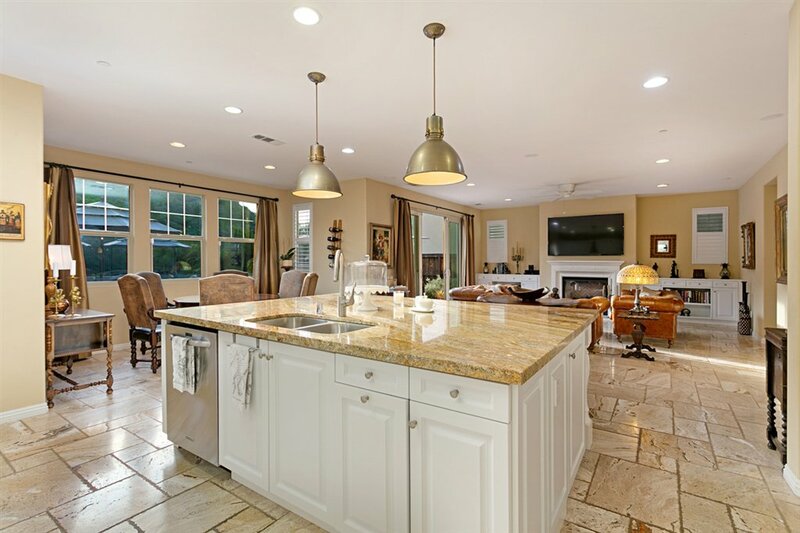 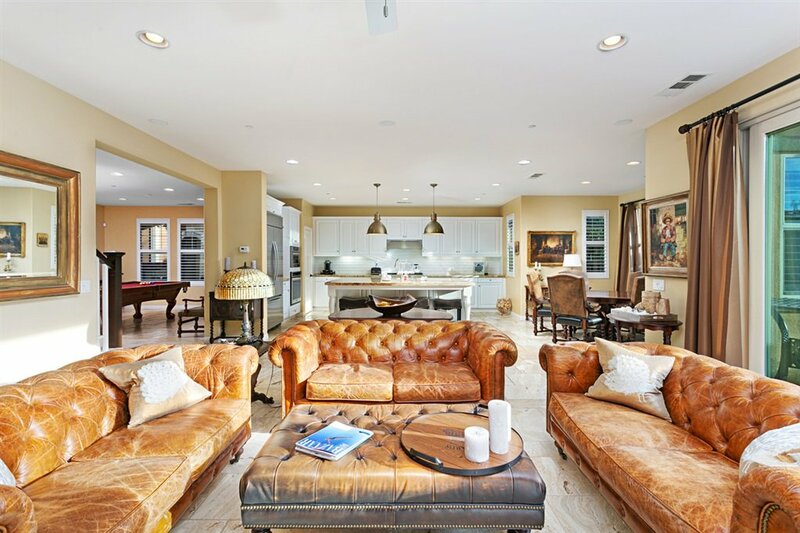 This home additionally offers Versailles patterned Turkish Travertine floors spanning the downstairs main living areas, neutral plush carpet and tile, plantation shutters throughout, overhead storage racks in the garage, instant hot at the kitchen sink and master bath, surround sound in family room and A/C. 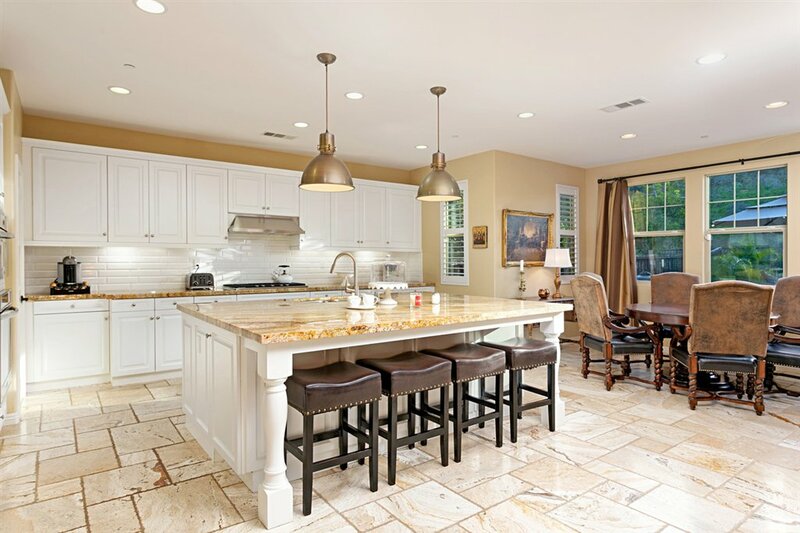 Largest floor plan for the Westcott development in La Costa Oaks North. 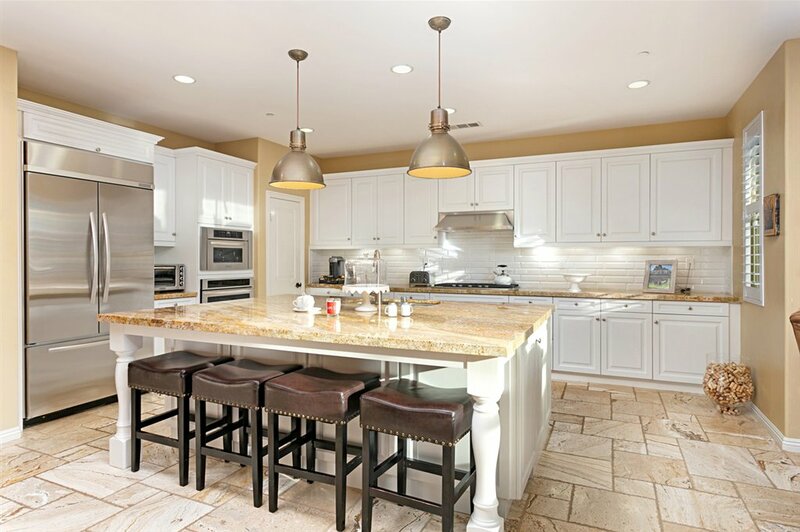 The Master Planned La Costa Oaks Community provides an exceptional lifestyle offering access to the residence only Splash club featuring a pool, wading pool, and BBQ area. 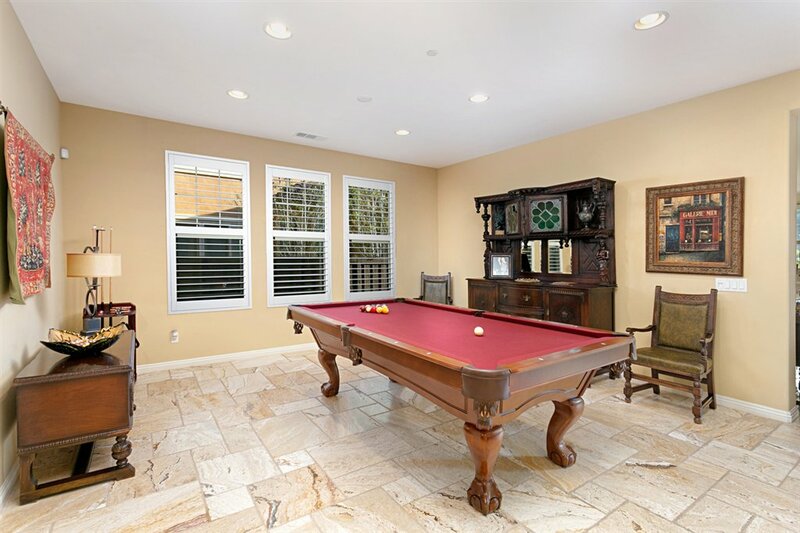 Additionally, Residents have access to The Oaks Club offering a competition-size pool, wading pool, BBQ area, meeting room with kitchen and exercise facility. 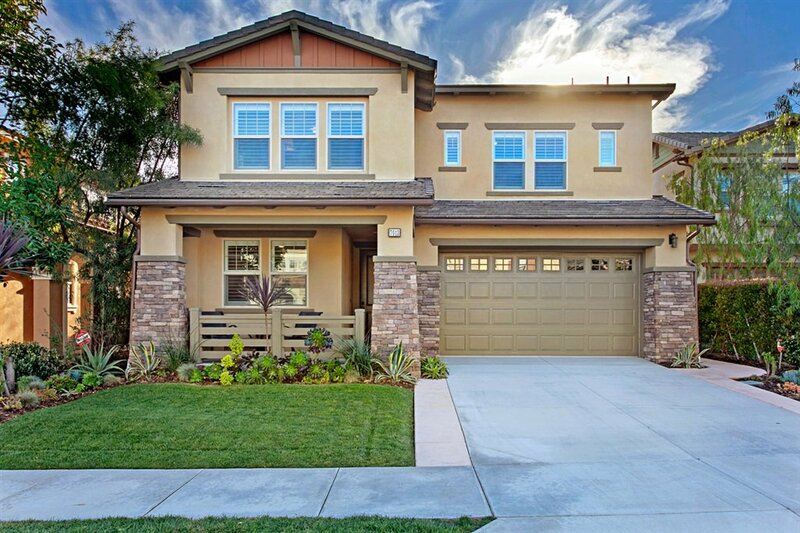 Adjacent the community you will find the La Costa Preserve with more than 1000 acres of nature and wildlife preserve and hiking trails. 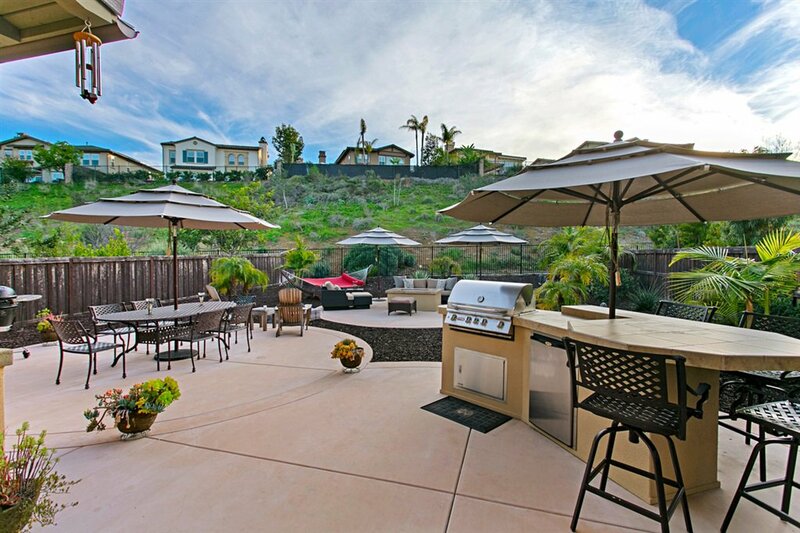 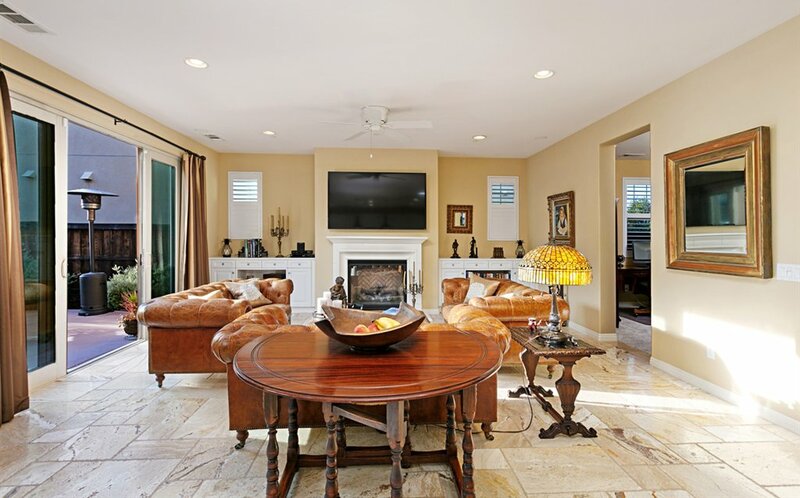 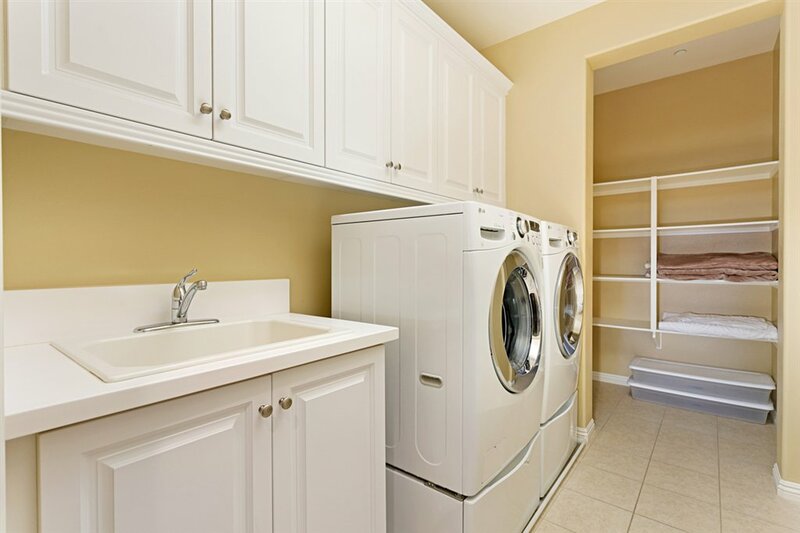 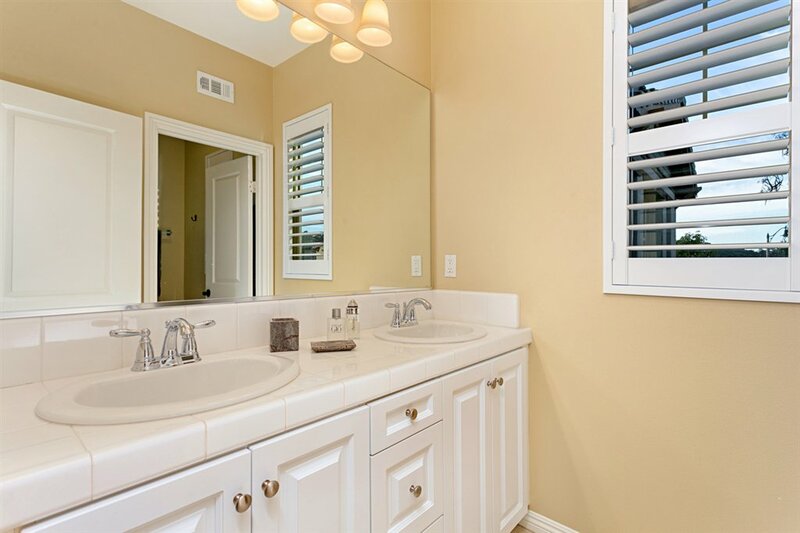 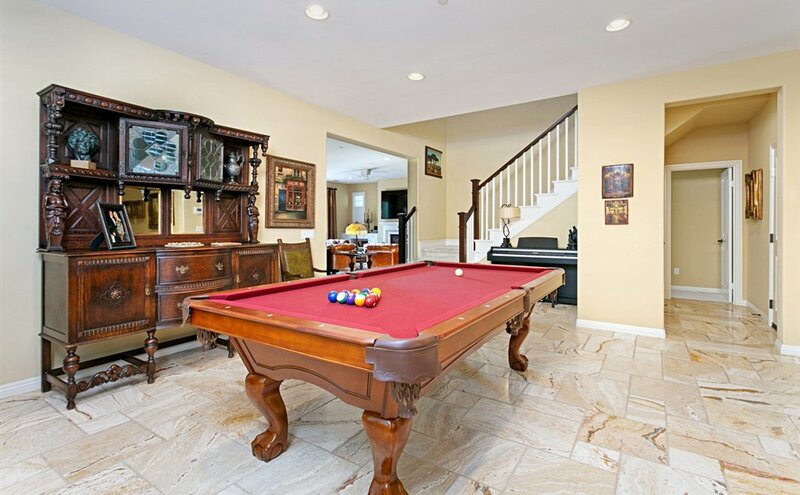 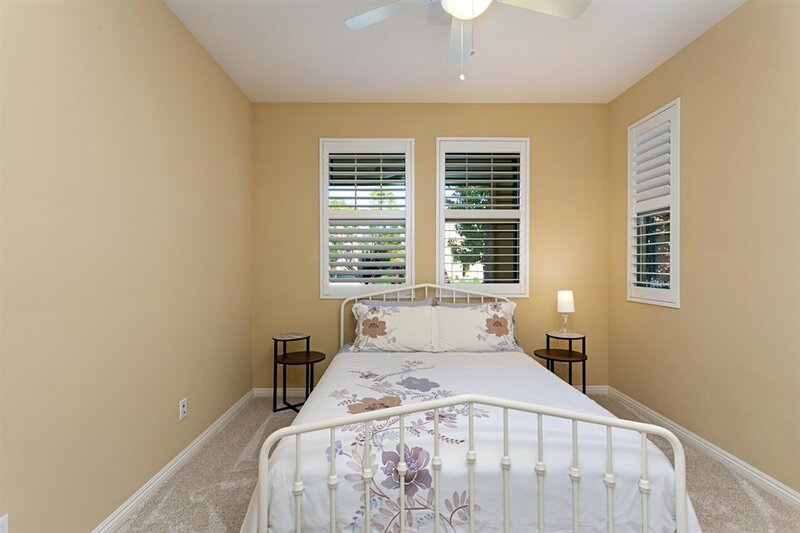 Located within the top-rated Encinitas Union & San Dieguito High School Districts. 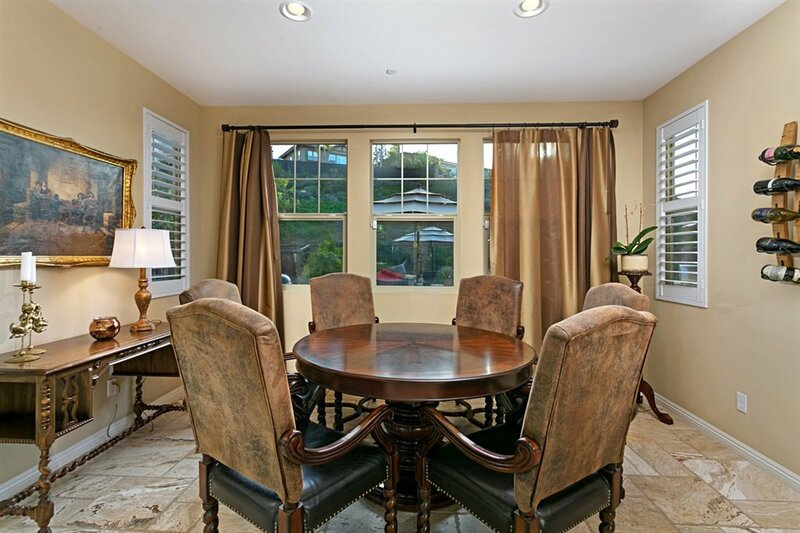 Convenient shopping nearby at Encinitas Ranch Center and La Costa Forum.